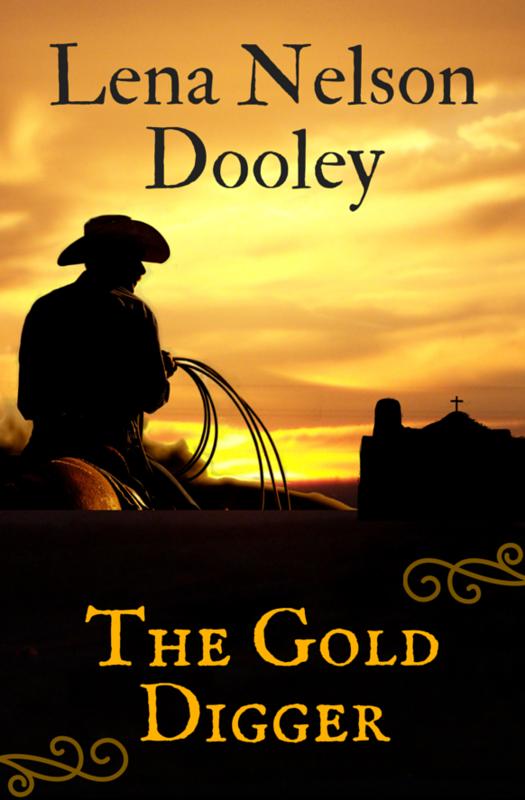 My good friend, DiAnn Mills, is back with the final book in her Texas Legacy series. And it's a Christmas story. I just love Christmas stories, don't you? DiAnn, God has really been moving in your writing life. What do you see on the horizon? Do we ever really know what God has planned? :-) I’ve been contracted to write more contemporary romantic suspense, and I’m very excited. 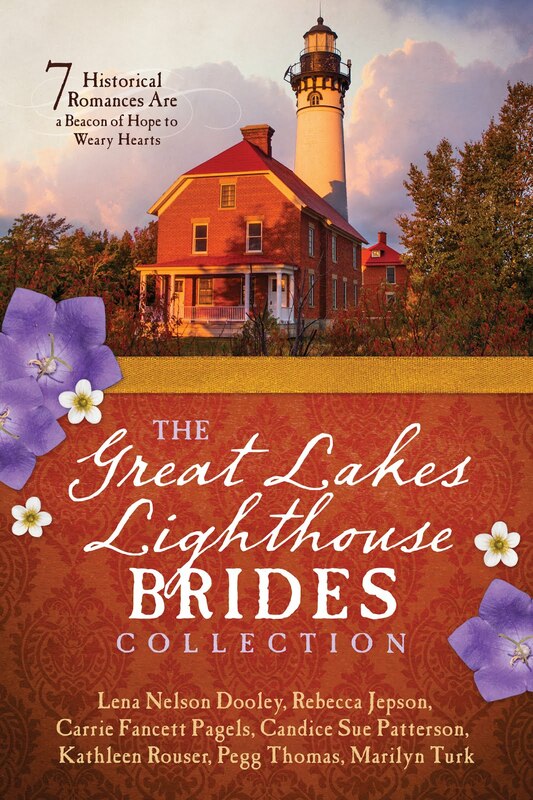 I’m also excited about writing historical fiction for Avon inspire. I didn't know you'd been contracted by them. That's wonderful. Tell us a little about your family. I have four sons – stair steps. Three are adopted. They are grown, and we have one precious granddaughter. Dean and I have been married thirteen and a half years. He is a tremendous help and support to my writing ministry. I often say that he is my best cheerleader and my worst critic. Yes, I know Dean and how much he's a part of your ministry. You are blessed. Has your writing changed your reading habits? If so, how? I read critically while enjoying a good story. One change is if I’m not hooked from the first sentence, I’ll continue the page and maybe a few more pages, then I’m done. I know what you mean. Our reading time is abbreviated because of our writing schedule. What are you working on right now? Contemporary romantic suspense. My head is spinning with the characterization and plot elements. Of course, you would be working on that with the new contract. What outside interests do you have? I mentor writing students for Jerry Jenkins Christian Writer’s Guild. I also teach writing. I’m actively involved in ministering and raising awareness about the critical situation in Sudan, and I volunteer at a Biblical counseling center. Oops! I’m finishing up a degree at Moody Bible Institute. I've been telling everyone I could about your Sudan ministry. How do you choose your settings for each book? It is all about “what-if.” Many times the setting is a character too. For example: if a character is afraid of water, then the setting will be near a body of river. 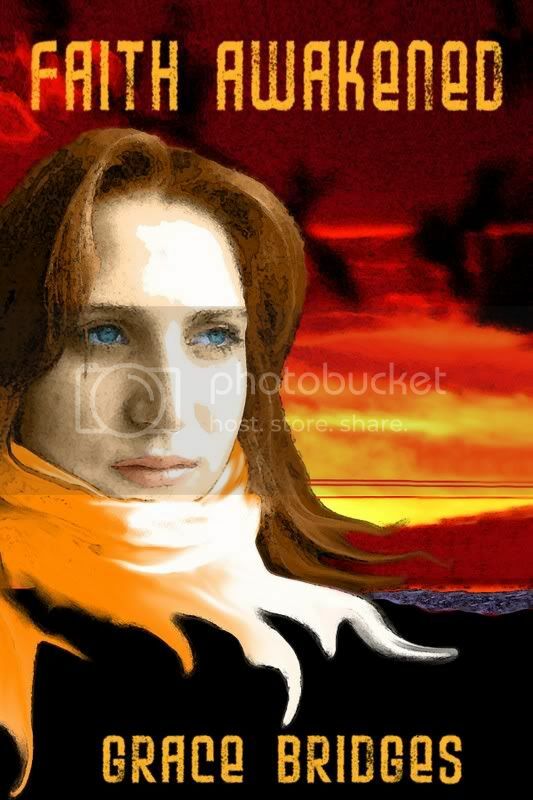 If a character cannot tolerate heat or cold, then the setting will be there. Very good thought. If you could spend an evening with one historical person, who would it be and why? Louisa May Alcott. Her book Little Women and those that followed were my childhood treasures. They inspired me to adopt boys, write, and give back to others. :-) To read Donald Maass’ Writing the Breakout Novel and Writing the Breakout Novel Workbook along with taking his workshops. But I don’t think he was in the forefront then. I wonder if he knows that you are giving him all this free publicity. What new lessons is the Lord teaching you right now? To continually challenge myself in writing. To grasp how wide and deep His love. All very good things. Right now, He's moving me out of my comfort zone. I didn't realize that I had a hidden fear about that, but He has taken care of that, too. What are the three best things you can tell other authors to do to be successful? 1. Pray about your writing ministry. 2. Read and write every day. 3. Take what you learn and help other writers. DiAnn, tell us about the featured book. 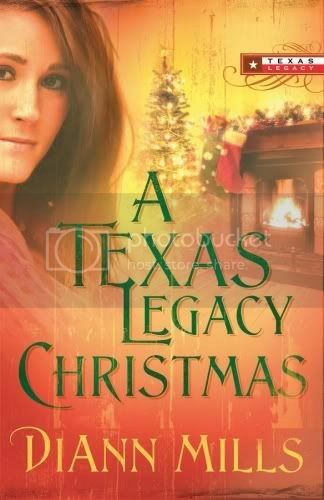 A Texas Legacy Christmas is the fourth and final book in the Texas Legacy Series. This Christmas love story is about Zack Kahler. He’s ready to head out of New York City and back to Texas to take over his hometown, newspaper. Just before leaving town, he finds himself the intended victim of a pair of six-year-old pickpockets. After learning the two are orphans, Zack decides to take them back with him to Kahlerville, Texas. Oh, but he is not ready to meet the antics of two streetwise children who are loveable and full of mischief. 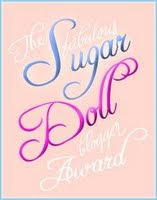 The heroine is Chloe Weaver, a young woman who has been an outcast all of her life. The four are thrown together into a mixture of love, tears, and lots of Christmas joy. www.diannmills.com I invite you to sign-up for my monthly newsletter! Thank you for spending this time with us. Readers, I get DiAnn's newsletter. You'll love it. We are giving away a free copy of A Texas Legacy Christmas. Leave a comment on this interview for a chance to win it. 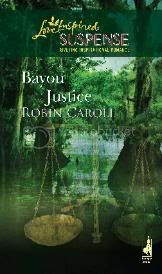 There's still time to leave a comment on Robin Miller's interview for a chance to win a copy of Bayou Justice and on Kim Vogel Sawyer's interview for a chance to win Beginnings. SCARAMOUCHE9999 is the winner of Remember Me by Maureen Lang. Melissa Markham wins Faith Awakened by Grace Bridges. 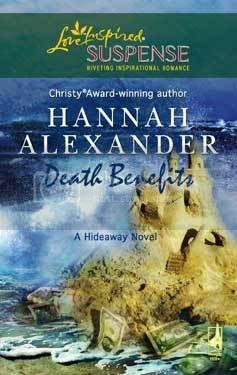 Jenny will receive a copy of Death Benefits by Hannah Alexander. All three of you need to email me your mailing address. Use the link under my picture in the right hand column. Look for another interview later today. 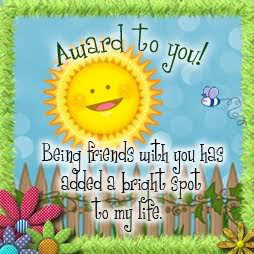 I'm pleased to welcome back to this blog my good friend, Kim Vogel Sawyer. Since her first book came out, she's had a number of releases. I love her writing, and I think you will, too. If you'll remember, she is also part of the team that wrote Montana Mistletoe with me. Today, we're featuring her latest book release. Kim, God has really been moving in your writing life. What do you see on the horizon? You know, I’m trying not to see the horizon. :o) In the past, I’ve gotten myself in trouble by looking miles down the road instead of just being obedient for the next step. So, at the risk of sounding like I have no plans, my plan is to heed His call and walk where He leads. I do know what my writing schedule will entail for the next two years (four more historical novels), but beyond that…? We’ll see what happens. I am wife to military-husband Don (who is currently serving in Baghdad), mother to three wonderful girls ages 18 to 25, and grandmother to four of the cutest little boys who ever graced the earth. After raising all girls, grandmothering boys is a new experience, but I’m lovin’ every minute of it. I know what you mean, Kim. I only had girls, and my first two grandchildren were boys. Now I even have a great grandson. And the father of that great grandson is also in Iraq. Has your writing changed your reading habits? If so, how? Wow, I may have to get a copy of that book. What are you working on right now? Rewrites… *sigh* Admittedly, rewriting is usually my least favorite part of the process. But this time, because I like the characters so much, I’m actually kind of enjoying the opportunity to be with them a little longer. Church is a major part of my life—I teach adult Sunday school, participate in both voice and bells choirs, and lead the drama team. Speaking of drama, whenever my schedule permits (which isn’t often! ), I enjoy acting in community theatre. Quilting and calligraphy are also enjoyable diversions. We have so much in common. I sang in the church choir for many years, even played in the bell choir. And I was a church Drama Director for over thirty years. How do you choose your settings for each book? Most of my books are set in Kansas because it’s familiar territory for me. I’ve lived here all but one year of my life! But also Kansas fits the stories I write. You want the setting to be an integral part of the tale, and Kansas history/landscape has worked well for my stories. Hm, that’s tough because I am a history nut. But if given the opportunity meet someone from the past, I would choose my paternal grandmother who died when my dad was ten years old. My whole life, I’ve been told I look like and act like my grandmother, and I would dearly love to sit and have a chat with her. I hope she’s part of my welcoming committee when I get to Heaven. I'm sure she will. What is the one thing you wish you had known before you started writing novels? Isn't that the truth? What new lessons is the Lord teaching you right now? God has been stretching me, pulling me from my self-imposed comfort zones. I am an incredibly timid person, which means I’m easily intimidated, so He’s reminding me I can do all things through His strength if I will simply trust. Letting go…easy to say, harder to do. That's the struggle I've had this whole year. God wants to move me out of my comfort zone in my writing. What are the three best things you can tell other authors to do to be successful? First, stay within God’s plan for your life—running ahead of Him will only bring you heartache. Second, persevere—all the talent in the world will get you nowhere if you quit! And finally, if God has called you to this task, then write. Even when it’s hard and it seems like you’re not going anywhere, write. Continue to grow in your craft, look to His leading, and write, write, write! Beginnings is Book 2 in the Sommerfeld Trilogy. It features Beth Quinn, a “worldly” transplant in the Mennonite community of Sommerfeld. Beth is starting over in everything—her place of residence, her choice of career, and in relationships. Two men vie for her attention—one Mennonite, one not—so her heart is tugged in two directions...but where does she belong? 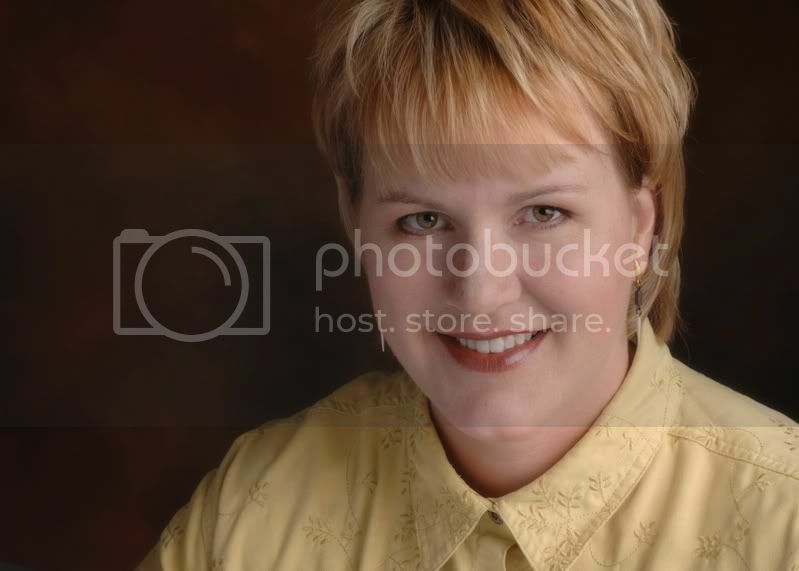 Feel free to stop by www.KimVogelSawyer.com and leave a note in the guestbook! I love to have visitors. :o) Thanks for the chance to chat with you! It has been a great pleasure for me, too, Kim. You've given us much food for thought. Readers, leave a comment on this interview for a chance to win a copy of Beginnings. And leave comments on the other four interviews where the winners haven't been chosen. I'll be choosing some winners this weekend. Have you missed some of the author interviews? Just sign up for Feedblitz in the right column under my picture. A copy of the interviews will be delivered to your inbox. 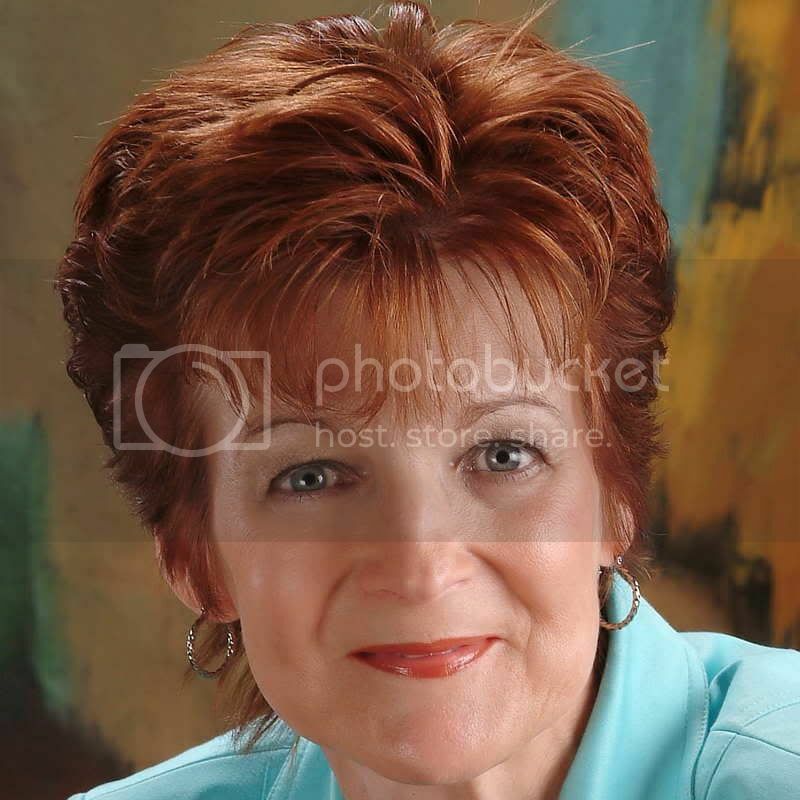 It is my great pleasure to introduce you to a good friend and president of American Christian Fiction Writers, Robin Miller, who writes under the name Robin Caroll. Her first book is releasing in October. I have already read the book, and it is really wonderful. 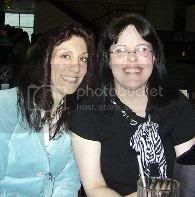 This is a picture of Robin (in the black) with her agent Kelly Mortimer. She helped Robin sell a four book series. Way to go, Robin and Kelly! Tell us how much of yourself you write into your characters. In this particular book, since it’s set in south Louisiana, a whole lot of me is in each and every character. I was born and raised in Louisiana, have only moved out of state eight years ago. So a lot of the phrases and mannerisms are second nature to me. Now, I wouldn’t dare think of working with alligators like the heroine, but I do love riding airboats. LOL And I gave my heroine a form of one of my daughter’s names, so that character is beyond special to me. That’s a hard one as I’m pretty quirky all over. LOL Let’s see, the quirkiest…well, there’s a lot of strange stuff I did in my youth, but they wouldn’t be considered quirky. My husband tells me some of my quirky traits today are that if I think it, I say it and if I feel it, it marches across my face. I don’t know if that’s good or bad. In third grade, I wrote a short story that was printed in an elementary collection. From that moment on, that’s what I wanted to do. I took some writing courses through Writers Digest back in the ‘90s, but then had children and followed other avenues. But for as long as I can remember, I’ve kept a private journal as well as a prayer journal. What I ENJOY reading? Suspense. Period. But I read my ACFW friends’ books, as long as they aren’t historicals. I read just about all other genres because of my critiquing service—I have to keep up on what the market trends are. What other books have you written, whether published or not? I have several other single title manuscripts that my agent is currently submitting. For a complete listing and a summary of my books, visit my website. But all of them are Southern mystery/suspenses. How do you keep your sanity in our run, run, run world? My family. Having small children AND a teenager at the same time definitely keeps me grounded and focused. And when it’s all too much, God and I have those long one-on-ones. He always humbles me and makes me remember what’s REALLY important. I use the internet for research, I utilize “The Baby Name Survey Book”, and I draw on my personal experiences. My children. My marriage. In my generation, the divorce rate is astounding. That my family is still intact, strong and loving, brings a smile to my face every day. A cat. They’re so independent and such cool animals. I have 4, and they have such individual personalities. A lot like people…different, yet interesting in their own right. Oh, easy question. LOL Hibachi steak, fried rice, and stir fried zucchini. LOVE it. What would you like to tell us about the featured book? I love this story! It’s about an alligator environmentalist who works in a Louisiana bayou, who just happens to have a grandmother who is a voodoo priestess. The hero is her ex-boyfriend. When his grandfather, an ex-politician and riverboat casino manager is killed and found in the bayou, both h/h are suspects. They must reconcile with one another to prove their own innocence, and stop the real murderer. They discover the truth, and that they’ve never stopped loving one another. I hope everyone enjoys reading this story as much as I enjoyed writing it. We were just together at the American Christian Fiction Writers national conference in Dallas. And to be sure you know when you win a book, sign up with Feedblitz in the right hand column under my picture. Today is WooHoosday, Because We Have Winners! 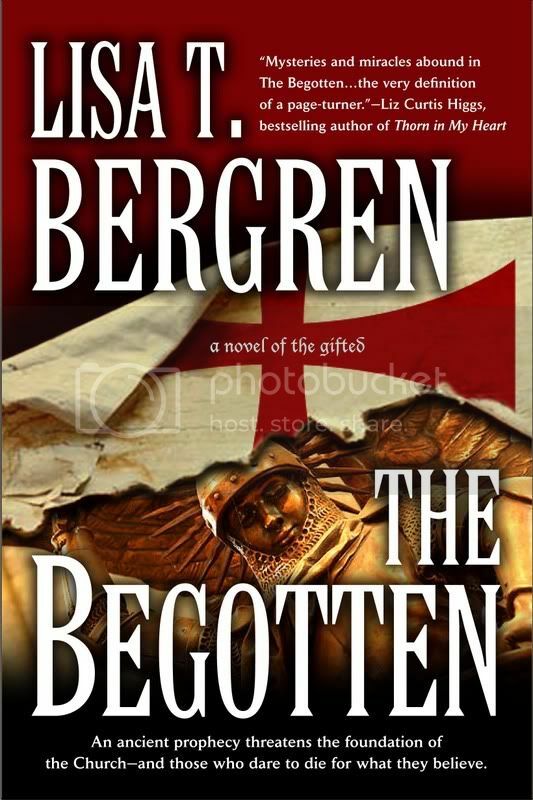 WendyK won The Begotten by Lisa T. Bergren, and Forstrose won The Betrayed by Lisa. Cecilia Dowdy won Sanctuary by Molly Noble Bull. Please email me with your mailing address. There's a link to my email under my picture. I love to give away free books as much as you like to win them. I have read Hannah Alexander books for years and loved them. 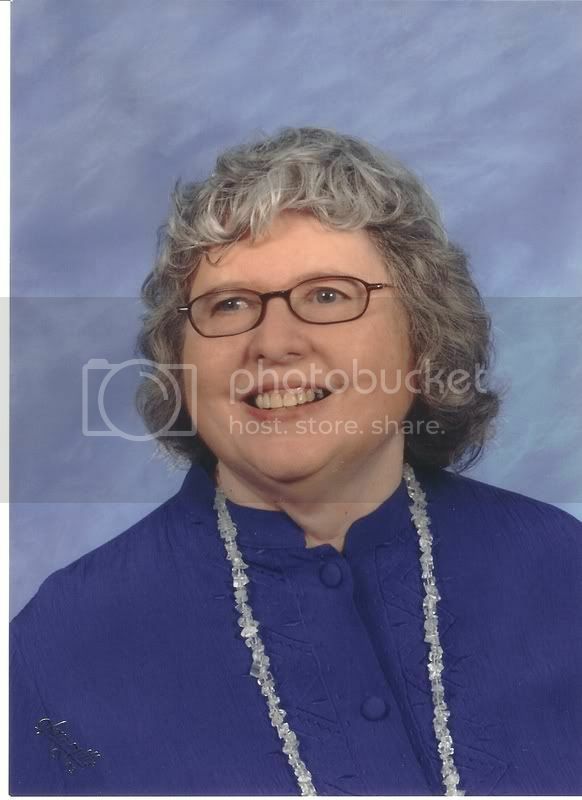 Just this last year, another online friend introduced me to Cheryl Hodde. Thanks, Barbara Warren. 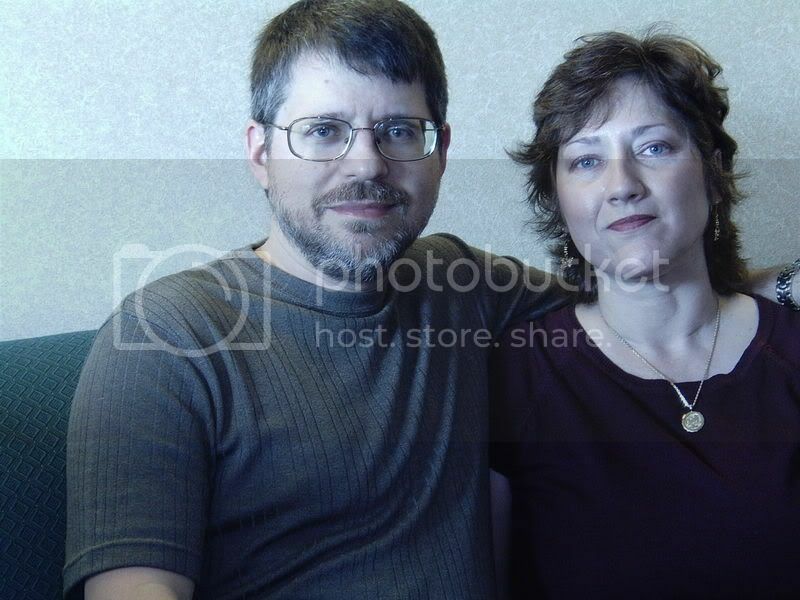 Cheryl and her husband Mel make up the writing team known as Hannah Alexander. Cheryl, tell us how much of yourself you write into your characters. There is a part of me in every main character, but not a huge part. I can identify better with some characters than with others. We are all such an intricate combination of so many different thoughts, emotions and experiences that it’s impossible to recreate yourself on paper. I just keep trying. That depends on who’s reading this. Some might think it’s quirky to enact a scene-in-progress so I can get the movements down on paper better—we now have to do this with the shades closed. Someone might have called the police on us the night Mel tried to teach me CPR with the curtains open. Some might think it’s quirky to go hiking in the rain and wade down the center of the creek. Some might think it’s quirky to stalk a stranger who just happens to look just like a character in the book we’re working on. Some might think it’s quirky to pray for one of our characters. When I started making up stories before I knew how to write them. I really knew I had arrived when my mother started to believe them. I love mystery, chick lit, historicals and fantasy—anything with a happy ending. Anything that is well written. It seems, though, that the more I learn about writing, the harder it is to just relax and enjoy reading. I know what you mean. It's hard to turn off that internal editor, isn't it? What other books have you written, whether published or not? I've read many of these, and they're wonderful. How do you keep your sanity in our run, run, run world? I don’t run with them if I can keep from it. I hike as often as I can, and will drag Mel along when I can get him out there. We don’t have cable television. We actually don’t watch regular television at all, but we do have DVDs of old series shows we like to watch, and we watch when we are in the mood, not when some television station decides we should. I try to read my Bible and spend some peaceful time before the day begins, and I’m learning to say NO more often. Learning to say NO is good advice for most of us. How do you choose your characters’ names? I walk through cemeteries and write down the names that appeal to me. I have lists of first names and last names on my bulletin board. I also have numerous “name that baby” books that I love to peruse. This is a fun time for me. Hiking the Grand Canyon several times, and actually living to tell about it, because I got sick every time. I would probably be a donkey. This isn’t by choice, but I do tend to be stubborn, and I sometimes bray when I laugh. Yep, a donkey. Which day are we talking about? I love chocolate. I also love sea scallops and crab legs and beef jerky and chocolate and pasta and a good, multi-vegetable salad with bleu cheese crumbles…and chocolate. Did I mention chocolate? The darker the better. Chocolate must be a brain food for writers. So many of them love it. Me, too. What is the problem with writing that was your greatest roadblock, and how did you overcome it? I am my own worst roadblock. The first draft of a project—sitting down and getting the first draft on paper—er, uh, computer—is the hardest part for me. I keep going back to rewrite. I can’t reread what I’ve written without rewriting, and that is what takes most of the time. I make it much harder than it has to be. What advice would you give to an author just starting out? I always tell a new writer to keep her/his day job. Don’t expect to earn enough as a writer to make a living, especially in the first few years. Even if you do find it’s possible to do so, there is always the pressure of deadlines, which keeps you from exploring more deeply into your work in progress. Time constraints are the biggest hurdle for us. A good story is more important, in the long run, than a good advance. I often start writing workshops I teach with the same advice: Don't quit your day job. Death Benefits is the last of our Love Inspired Suspense titles, which actually spins off Fair Warning, which came out last year. One does not need to read Fair Warning, however, to enjoy Death Benefits. Set on the island of Kauai in Hawaii, Death Benefits is about a small wedding party being stalked by a killer who has escaped from prison. I've read this book, and I highly recommend it. How can readers find you on the Internet? Thank you, Cheryl, for spending this time with us. Readers, you'll want to visit the Hannah Alexander web site. You'll also want a chance to win a copy of Death Benefits. Remember all you have to do is leave a comment on this interview. There's still time to leave comments on the interviews with Grace Bridges, Maureen Lang, Molly Noble Bull, and Lisa T. Bergren. I'm leaving tomorrow to attend the American Christian Fiction Writers national conference in Dallas. If you live within driving distance, come to the Marriott hotel that is north of the Galleria and just south of Beltline Road. There will be a booksigning with almost 70 Christian authors, many of whom you've met on this blog, that is open to the public from 1:30-2:30 on Saturday afternoon. I'd love to meet you there. You can bring books you have at home for the authors to sign, or the conference bookstore will be open at 1:00 if you need to buy some there. 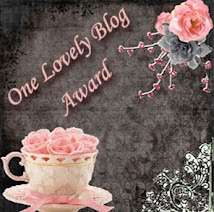 I'll be home to choose winners and post another blog on Sunday. Let me introduce you to Grace Bridges. I first met her at Shoutlife, the Christian online community. Grace, tell us how much of yourself you write into your characters. That depends on the story. Faith Awakened is my first “real” book, and it’s been going around in my head for 14 years – so there’s a lot of me in there. With other current projects, it’s not so extreme – but in any case, I love to write my own real feelings and sensations into any character, whether he/she is like me or not. I love to stand outside in a brewing storm with a notebook and write down what it feels like, and use that as a backdrop for a scene. Going through really bad days has equipped me to describe the depths of desperation, too. Wow, that’s hard to put in a nutshell. Tell you what – you could go to my Goodreads reading list at http://www.goodreads.com/user/show/45683 – pretty much everything is on there. It ranges from Pride & Prejudice through Peretti and Lawhead and ends up in the Lost Genre Guild. Seriously? I stop. I have a very low tolerance for stress, and there are times when I do just stop the world and get off for a while, whether that means a lazy day on a sunny ruined castle, or a cheapo last-minute flight to flee the country for a week... a strategy I’d recommend to anyone! Faith is called Faith because I’m Grace and she’s a copy of me. In other situations it’s not so easy. I look up baby name websites and try out the sound and feel of lots of names before picking one. A name has to fit with the character and ethnicity of the person, and I have to be able to imagine someone being called that. And it has to be realistic. I can’t stand it when novelists go to so much trouble and actually invent a name no one ever heard of before – though it would be more acceptable in sci-fi. Teaching myself computer literacy from scratch – from text formatting through HTML and graphic editing to making videos and MP3’s. I’m no expert, and there’s so much more to learn, but I make all my own websites and audio/video material, as well as my book cover text. I’d be a bit stuck without all that I think. A cat. No doubt about it. For one, they sleep most of the time (Yeah! Pick me! ), and for another, they radiate such a wonderful contentedness. And they know how to have fun at the right time. Anything with chocolate. I also have a thing for mincemeat pies, but they don’t sell those in Germany, so I have to make them myself. My husband and I love mincemeat pies, but the children never did like them. So James and I get the whole pie at holiday time. What is the problem with writing that was your greatest roadblock, and how did you overcome it? For years I was caught up in church ministry. I led worship and Bible studies and all sorts of things. But there was no time to write. Sure, it was all good stuff, but it took up every hour of every day, just about. After cutting that right back to an absolute minimum (=zero), the creativity began to flow again. I’m definitely not saying everyone should do this. Of course church is important. It’s probably because I can only focus on one thing properly. I do have many symptoms of ADD. Read as much as you can. It improves your style and extends your expressive abilities. Get in a critique group where you are required to crit at least one short piece a week. Picking out what you don’t like in someone else’s work will give you a new perspective on your own writing. And the others will help you out with feedback too. Take it seriously, but keep hold of your own style. And learn the Snowflake method I mentioned earlier. It began as a childhood fantasy where I often imagined my life wasn’t real, but rather a kind of re-run provided by God. I liked to think I was in heaven already. Eventually this idea grew into Faith Awakened – where virtual reality is a place to experience God’s blessing and fulfilment, and enriches the lives of those who go through it. They don’t know this before entering it though, and only do so to escape a great danger in the real world. I explored a whole bunch of “what ifs” – What if God can influence a computer system? What if you woke up to discover your childhood friend is now twenty years older than you? What if you could go back and do things differently? What if you did already? Finally, I set the story in Ireland because I have deep family roots there. Oh yeah, and I’m not getting any royalties on sales. At present you can buy it for cost price only. After all, I’m just a newbie author – can’t really say how my work will go down with the public – and I also have two other jobs to live from. Call it an experiment. I’m all over the place. The easiest portal is probably www.faithawakened.com, which is all about the book, and there are links from there to my author homepage, my personal homepage, my blogs, and various other places. 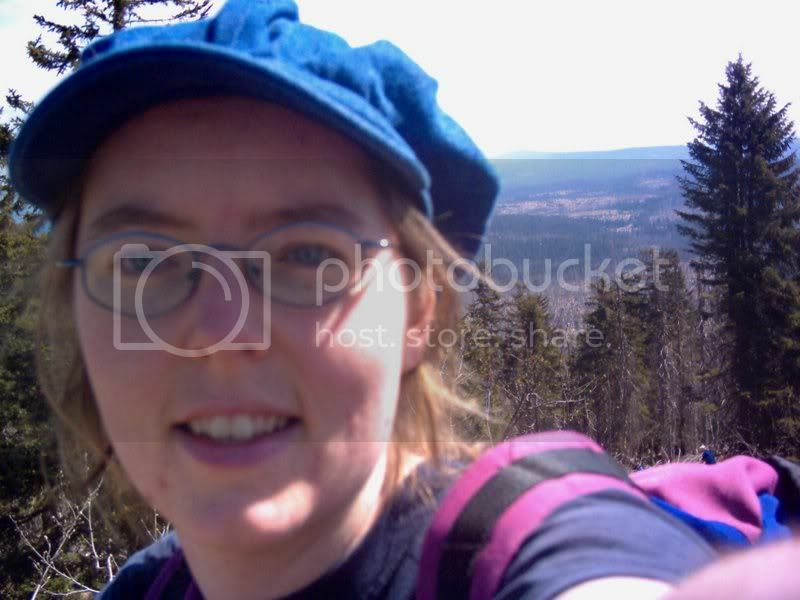 I’m also on Myspace, Shoutlife, Goodreads, Amazon, Lulu, Second Life, Bebo, Xianz, and the Lost Genre Guild. If you want to go directly to the complete list of these links, visit www.faithawakened.com/hang.html – my Hang Out page. Thanks very much for your attention! And thank you, Grace for spending this time with us. Readers, leave a comment for a chance to win a copy of Faith Awakened. And check out the other interviews. If you don't want to miss a single announcement of winners or author interview, sign up for FeedBlitz. Readers, today we're talking to Maureen Lang. Maureen, tell us how much of yourself you write into your characters. Since all of my characters are filtered through me and my perceptions, experiences, history and personality, all of them probably have a little bit of me in them. In one book, The Oak Leaves (a recent release from Tyndale) the contemporary heroine is very much like me. In fact during the first draft, she was a little too much like me because some of her experiences as a mom finding out her child is mentally handicapped happened to me. I had to go back and distance myself from the character, making her less like me, to make the book easier to write. Usually my heroines are women I’d LIKE to be, or if they have some weakness or fault it’s one I can identify with. I know what you mean. What is the quirkiest thing you have ever done? I have to laugh at this because I’m so-not-quirky. I was once with a carload of women as we drove down to Nashville for our ACFW conference and they each said to me I was the most “normal” person they knew. I wasn’t sure how to take that (my translation: normal = boring) but they assured me they liked me anyway. I do like to have quirky characters, however, so maybe I’m just living vicariously through them! So based on that qualifier, the quirkiest thing about me will probably be snickered upon by those who are truly quirky. I often can’t remember how old I am. Once I turned 21 it stopped being interesting. However, now that I’m nearing 50, which seems to be a marker, I’ll probably be able to keep it straight, at least for a few years! You are so young. When did you first discover that you were a writer? I was very young – maybe 9 or 10. I wrote an entire book (which was probably only around 30 notebook pages long, with large printing and very wide margins) and passed it around the neighborhood. It was so much fun I’ve been doing it ever since. I enjoy women’s fiction and historical romance, so that includes both contemporary and historical settings. I like a book where the conflict is deep, the character grows, emotions are touched —but if it has a romance in the story, all the better! I actually wrote three secular romances for a New York publisher about twenty-some years ago, but those books are long out of print and didn’t honor God, so I rarely mention them. When God brought me back to Him, I knew if I ever wrote again I’d tell only stories that honor Him. 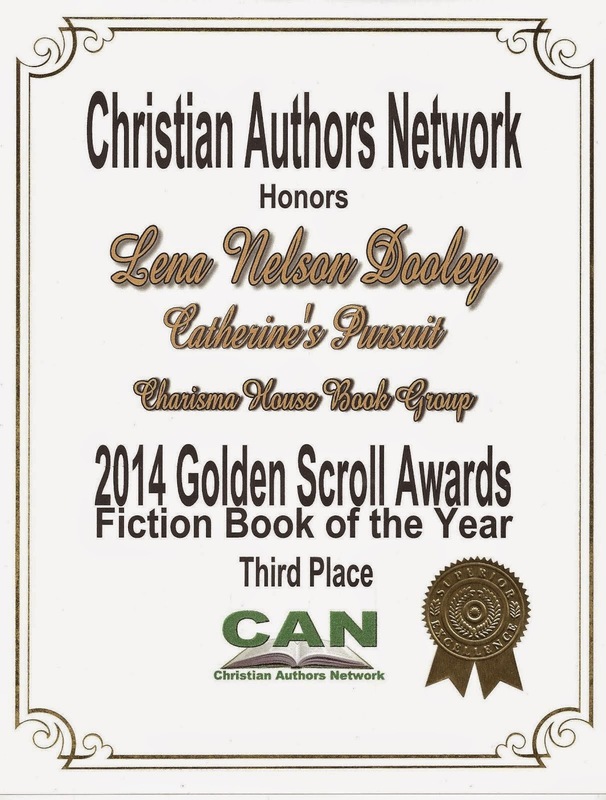 My debut Inspirational was Pieces of Silver, which was a finalist for a Christy. The sequel to that, Remember Me, came out this past February, and the following May The Oak Leaves released. Pieces of Silver and Remember Me are both set during the First World War, and Oak Leaves has a combination setting, contemporary Chicago and Victorian England, so it was the best mix for my taste. The sequel to The Oak Leaves is titled On Sparrow Hill and will release in February of ’08. It, too, has a combination setting, this one between contemporary England and Victorian Ireland. Maureen, tell us how you keep your sanity in our run, run, run world? Sometimes it feels like I don’t! My boys are young (nine and twelve) and I really do enjoy spending time with them. I also never feel like my husband and I have enough time together, so all that adds up to stress. It’s sometimes difficult to find childcare because my twelve year old is handicapped, so it’s a good thing I’m a homebody. Still, you don’t have to leave your hometown to feel like there is too much to do in a day. The thing that helps me most to get a grip on life in general is writing, which is a wonderful thing considering my occupation. There is something about creating a fictional world, one where you as the author have some control, can touch emotions, find satisfaction, that makes facing the real world so much easier. I honestly feel that if God wired us up a certain way, and we’ve found out what it is and are blessed to be able to DO it, nothing is more satisfying. It’s what we were made to do. I totally agree with that. How do you choose your characters’ names? I always have a setting chosen first, whether it’s contemporary or historical, American or some other country. One of my favorite name books lists names by country, which is so helpful. I like unusual names, ones that haven’t been used too often, but they can’t be too far out there, either, or it just won’t feel right. I once wrote an entire book with the hero’s name “Cosmo” but I suspect if I dust that one off and try selling it, the first order of revision will be choosing a new name. It’s funny, though, because by the end of writing that book the name really fit him. I’m proud of all of my books, because I not only enjoyed the process, but I stuck with the whole writing passion even through the inevitable rejections. Getting a book contract is a major accomplishment. But I would have to say I’m most proud of The Oak Leaves, because it reflects so much of my own experiences. That storyline revolves around a woman receiving a Fragile X diagnosis on her son, which is a genetic form of mental retardation. It’s something I faced personally—my twelve-year-old has Fragile X. So few people have heard of this disorder that I knew “someday” I would write a book that contained this element and I could help spread the word about it. If more people hear about it, they might be inclined to donate for research and education about it. When I began the book I honestly didn’t feel like I was ready to write it, but I really felt nudged to go ahead with the project anyway. When the book came out about three years after I wrote the first draft, I hosted a book launch party and raised over two thousand dollars for the National Fragile X Foundation. I’m proud of that. That is an accomplishment. If you were an animal, which one would you be, and why? You're making me hungry. What is the problem with writing that was your greatest roadblock, and how did you overcome it? Finding a publisher! I’d been away from writing for twenty years. When I came back to it the kind of writing I wanted to do had nothing to do with the writing I once did. Granted writing is a bit like riding a bike in that you don’t forget how, but it would’ve been nice to keep some contacts and have a writing network maintained to be able to help get my foot back in the door. But even if I’d done that, it wouldn’t have helped because I switched markets. It took me about four years to find a publisher again, one who was willing to take a chance on an unknown. I also think these days it’s just as hard to find an agent as it is to find a publisher, and I’m very glad to be working with Greg Johnson so I don’t have to worry about that. Write! Rewrite! Submit! As soon as you submit, start something new, because when the rejections come in (notice I didn’t say ‘if’ the rejections come in) you’ll have new hope with your new project. That’s not to say to give up on the first project, but when the rejections come and you try to understand why, you’ll find revising something old is possible to do even while you’re creating something new. Every bit of writing will teach you something, so if you keep at it you’ll just get better and better. Remember Me was so much fun to write. It’s set during one of my absolute favorite time settings, the First World War (1914-1918) ,and it’s more romantic than the first book, Pieces of Silver. I love a good romance! Plus, the hero in Remember Me is near and dear to my heart. He really was supposed to be “finished off” at the end of Pieces of Silver where he was initially introduced, but I found myself liking the guy so much I just couldn’t give him such a sad and hopeless ending. And so Remember Me was born! I know what you mean. In my Minnesota series, I thought the hero and the heroine in the second book were taken care of in The Other Brother. But God showed me something different. Their story became His Brother's Castoff. How can readers find you on the Internet? 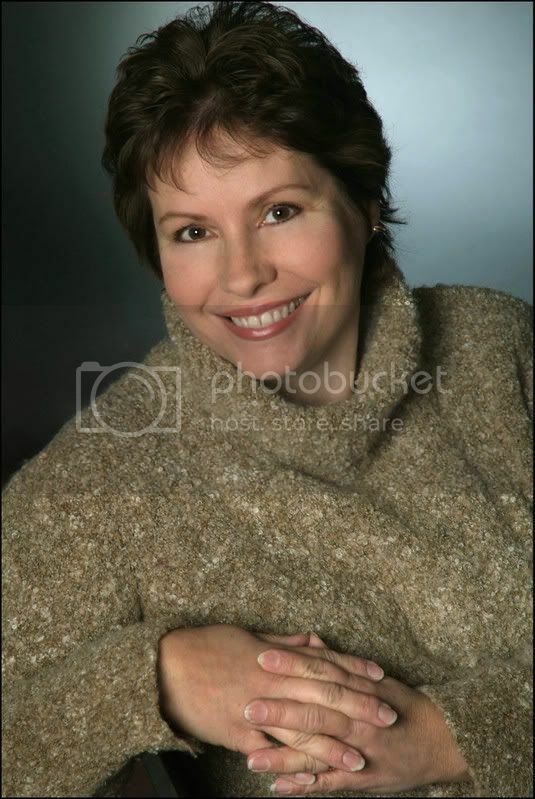 www.maureenlang.com or I have a blog on Amazon Connect and a page on Shoutlife. 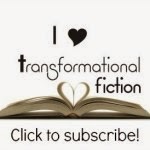 Drop me a note, I love hearing from my readers! Maureen, thank you for spending this time with us. Readers, you'll want a chance to win a copy of Remember Me. So leave a comment on this interview. I will be going to the national American Christian Fiction Writers Conference later this week, so I'm going to post two more interviews before I go. You don't want to miss any of them. Jane Squires is the winner of When the Nile Runs Red by DiAnn Mills. Kathy Carlton Willis wins In Every Flower by Patti Hill. Please contact me with your mailing address. There's a link to my email under my picture in the right hand column. Readers, it pays to leave a comment on the interviews. There are still two open interviews. One with Lisa Tawn Bergren and one with Molly Noble Bull. With Lisa's there are two chances to win a book. Don't miss out. And don't miss the post telling that you won a book. Sign up for Feed Blitz to receive notification when the winners are posted. You'll also know when new interviews go up. Molly and I have been friends for a long time. I'm please to introduce you to her new release. Molly, why do you write the kind of books you do? I am a born again Christian, and I write Christian fiction and non-fiction because that is who I am. There have been several. Certainly the day I married Charlie was a happy day for me, and I was happy when each of our three sons were born. Being published gives me the opportunity do what I enjoy doing, and that is writing. I read mostly non-fiction and especially Bible prophecy. The book I am reading now, The Nephilim and the Pyramid of the Apocalypse by Patrick Heron, is about the giants mentioned in the OT. Scary stuff, I know. But interesting. I am working on two books at once for Tsaba House right now—a non-fiction book on dyslexia and the sequel to Sanctuary. I would love to go to Israel one day. In fact, like all true believers, I will be living there when Jesus returns. The settings for each book put a frame around my stories and helps make them come alive. As I mentioned, I like to read books on Bible prophecy; so I would like to spend time with a Christian who knows a lot on that subject—like Perry Stone and J. R. Church. I like to spend time with my family. We laugh a lot, and that always makes me feel good. Until I started selling what I write, I never had writers block once. But now that I have book contracts in my hand, I have to spend time promoting my books. Nobody ever told me I would have to do that. Though I enjoy doing it, it really takes time away from my writing. Now, Molly, tell us about the featured book. Sanctuary will be) published in trade paperback on September 15, 2007. The Huguenots were French Christians who weren’t members of the Church of France, and some were persecuted because of it. 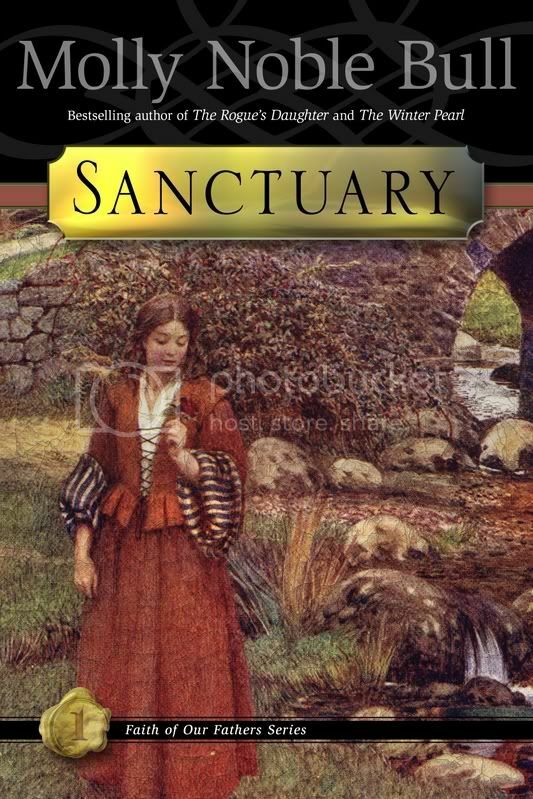 Set in France in 1740, Sanctuary is a fast-paced, romantic adventure story about the Huguenots and forgiving the unforgivable. I was privileged to write an endorsement for Sanctuary. You'll really like the book. Molly, how can readers find you on the Internet? Thank you for spending this time with us, Molly. Readers, you'll want to visit Molly's web sites. If you want a chance to win a copy of Sanctuary, leave a comment on this interview. Because I injured my knee, and I'm going to the national American Christian Fiction Writers Conference in Dallas, the next few interviews will not follow the established schedule. So if you don't want to miss any of the authors, sign up for FeedBlitz under my picture. You'll be notified about new posts. I've enjoyed Lisa's books for many years. This new series is a real departure for her. One I think you'll like. Lisa, tell us how much of yourself you write into your characters. What I am experiencing, learning, struggling with, battling, appreciating, loving—pretty much any verb you can think of—always ends up in my characters’ lives. I’m usually pretty heavily invested in the main character, living her feelings and experiences. Not to say that I’ve done everything they’ve done, by any means. I get to fall short and sin and adventure outward and find out the repercussions through my fiction—exploration without the real-life pain! So I’m in there, but in bits and pieces. Asked a man in a parking garage in Avignon, France, if he would show me how to put my rental car in reverse. (Okay, quit laughing. It was hard. There was an extra button.) I was sure I’d end up on a one-way street in this medieval city, going the wrong way, with a bunch of people yelling at me in French when I couldn’t turn around! That does sound like a dilemma. When did you first discover that you were a writer? When I won a poetry contest as a third-grader. Spiritual memoirs, biographies, history books, fast-paced literary fiction, fast-paced mindless fiction. I used to read cereal boxes as a kid. Now every book I read has to be worth the time I put into it—so I allow myself to set aside a book I don’t like within 50 pages. That sounds like a good plan. What other books have you written, whether published or not? 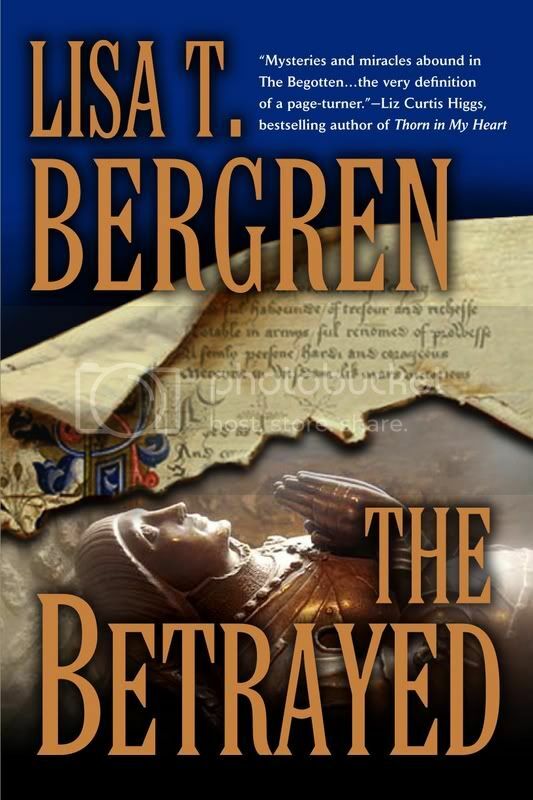 I began with contemporary romances (Refuge, Torchlight, Treasure, Chosen, Pathways, Firestorm); moved on to historical women’s fiction (Captain’s Bride, Deep Harbor, Midnight Sun); moved on to general contemporary fiction (The Bridge, Christmas Every Morning); moved on to medieval spiritual suspense (The Begotten, The Betrayed, and the upcoming The Blessed). I’ve also written children’s books (God Gave Us You, God Gave Us Two, God Gave Us Christmas and the upcoming How Big is God? 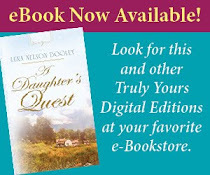 ), a women’s book/Bible study (What Women Want) a devotional (The Busy Mom’s Devotional), a creative prayer book called God Encounter and a couple of gift books and novellas. I hope you'll come back for an interview when The Blessed releases. How do you keep your sanity in our run, run, run world? I don’t, always. I wish I did. Some days are just survival days. But I’m endeavoring to have fewer of those by saying no to the extraneous and yes to the more meaningful—time with family, good friends, and God. A baby name book with boys and girls names from around the world, including meanings. I have to be able to pronounce them in my head and like the way they sound/feel and what it says about my character. It’s a big thing for me! Can I give you four? Solid marriage to my best friend; great family/kids; growing discipleship; 28 books with my name on the cover—cool, on all 4 counts! Salmon, halibut, steak. A better question for me is what I don’t like—eggplant, zucchini, or any other jiggly veggie. Getting my rear-end in the chair to just get the writing done. Only deadlines and the need for a paycheck seems to motivate me past this dilemma. Get thee to the nearest writer’s conference, subscribe to Writer’s Digest and read like crazy in the genre you wish to write. Lisa, how can readers find you on the Internet? 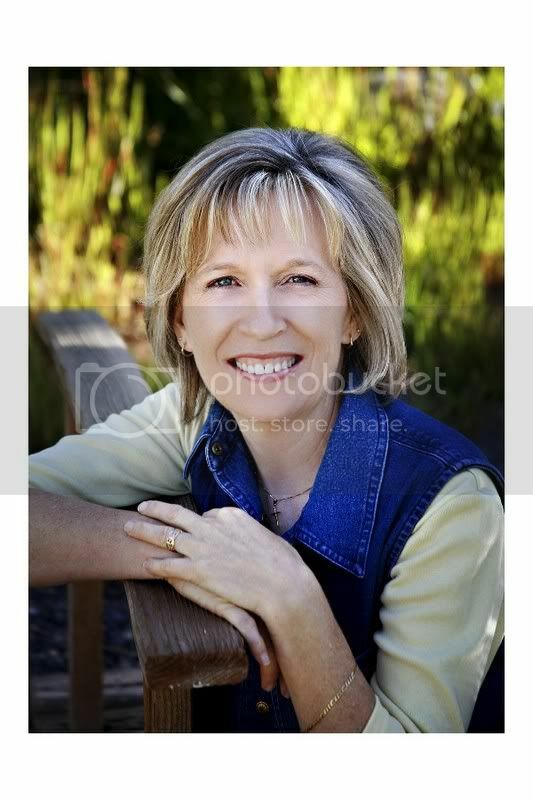 www.LisaTawnBergren.com - You can sign up for a free monthly newsletter, which includes a devotional, there too! Lisa, thank you for the wonderful interview. These books are near the top of my to-be-read pile. I can hardly wait. Readers, leave a comment for a chance to win a copy of one of these books. We will give away one of each. There's still time to leave comments on the interviews by DiAnn Mills and Patti Hill for a chance to win a copy of each of their books. Remember to check back to see if you won. If you have a hard time remembering to do that, just sign up for FeedBlitz. You'll be informed when a new interview posts or winners are announced. The winners of Montana Mistletoe are Anonymous, Melissa Meeks, tetewa, and lollipops. Kathie is the winner of A Sister's Secret. All five of you need to contact me with your mailing address. There's an email link under my picture. Good morning, Patti. Welcome to my blog. Tell us how much of yourself you write into your characters. Writing fiction is a playground for the mind. I experiment with the experiences and relationships that make my spine tingle to whittle them down to size. For instance, Mibby, the widow in my Garden Gates Series, puts on a brave front to run her garden design business and take care of her son, but she sleeps in her husband’s T-shirt and lies on his shoes to freshen his memory. Readers comment on the depth and honesty of my characters. That may be because I’m of an age where I’m no long trying to be Princess Evangelical. Instead, I strive to love as my Savior loves and to keep my relationship with Him fresh and vital—and then write my little heart out. All of this is to say that who I am and what I believe is on every page. This is not unique to me. A writer can’t help but reveal their soft underbellies. The narrator of my work in progress is a seventeen-year-old girl trying to pry herself from her mother’s iron grip. I’m having a blast letting her lead me through the story. For 4-6 hours a day, I’m seventeen again. It’s a tough job, but someone has to do it. 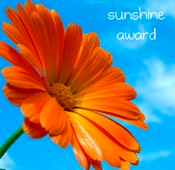 This decade, the quirkiest thing was walking around the International Christian Retailer Show in bright gardening gear, florescent Crocs included, to hand out flower pens to promote In Every Flower. And because I didn’t want to do this alone, my friend Sharon Hinck dressed up in a cape a la Becky Miller to hand out her own swag. It’s always more fun to be quirky with a friend. I was fourteen. I’d moved sixty miles away to a foggy beach town. I spent my days writing homesick missives to my friends. One of the girl’s mother said I should be a writer. Who me? All I knew of writers was what I’d seen in the movies. Inspiration strikes like lightning, the author pounded a typewriter from sundown to sunrise, resulting in a fat manuscript neatly stacked on his desk. The idea stuck with me, so I was a journalism major in college—the first time around—and an English literature major the second time around. When professors kept saying I should give a writing career a chance, I still didn’t believe them. Finally, my advanced writing prof made submitting a piece for publication a class requirement. The picture book is still unpublished, but I received the loveliest rejection letter. I taught school for four years, all the while playing with plots and characters as I drove to and from school. My mother insisted I attend a Writing Great Fiction class by Lauraine Snelling when she came to town. Lauraine helped me organize all my ideas and gave me a place to put my first step on the long road to publication. Finally, I was a writer. This story took place over an undisclosed number of years. My first choice in reading is a slice-of-life story, rich in language and honest to the core. I read Elizabeth Berg, Annie Dillard, Jan Karon, and Marilynn Robinson. I also love a well-crafted essays on life and faith. Anne Lamott, Barbara Kingsolver, and right now, I’m reading a book of essays on writing—imaging that!—by writers who have spoken at the Festival of Faith and Writing. The essayists have certainly challenged me to ratchet up the quality of my writing and my focus on Christ. I just finished reading Sharon Hinck’s The Restorer. What a marvelous, layered story she has created. I’m going to dip my toes into more fantasy because of this great read. And I love historical fiction. I could go on and on. I’ve written a picture book about a spring-time hike up a desert canyon that is still in the drawer. My three published works are the Garden Gates Series, Like a Watered Garden (a Christy Finalist last year), Always Green, and In Every Flower. The main character is a youngish widow with a 13-year-old son. She’s a garden designer. She meets the most amazing characters by tending people’s gardens. Readers tell me they laugh and cry all the way through the series as I open up Mibby’s life and relationships for the world to see. One reviewer described my writing as “faith with its working clothes on.” My work in progress is The Queen of Sleepy Eye, a coming-of-age novel of a mother and daughter. Oh my, this is a tough one. I use the Marilyn Monroe method—I just put my lips together and say no...most of the time. I can’t resist lunch with friends, which is murder to my writing goals, so now we go out to breakfast. I don’t watch the news or much television at all. I play in the garden, go for long walks with my dog, cook and entertain with my husband, and read. Occasional travel is a must, even for a weekend. Since I work at home, getting away seems like the only true break. I keep a list of interesting names, rummage through phone books, and take notes of obituary names with a nice ring. I held a contest for my WIP. The winner is a character. I’ll also throw names of friends in the text. Please note that I am not singularly responsible for the way they turned out, but my sons are amazing men. It took a lot of macaroni and cheese to get them to manhood, but they’ve arrived. They’re smart, funny, independent and loving people. Also, my dog sits every time I tell her to. A dog, definitely. They are who they are with no sense of self-consciousness. They bark when they’re excited, run when there’s something, anything, that needs chasing. They’re always dressed for the occasion with no worries about matching socks or the need to iron. Food appears magically in their bowls, and they never have to clean up after themselves. Yes, I’d prefer it if they’d shake paws upon meeting another dog, but nobody’s perfect. Anything with garlic or sour cream. I hinted at this earlier. I thought writers put it down on paper perfectly the first time. A writers workshop changed all of that. I saw other people’s sloppy copies and the changes they worked and reworked. Also, reading Bird by Bird by Anne Lamott helped tremendously. Who knew there was someone more neurotic than me out there? My office is covered with little birds to remind me to just write one scene at a time. Phew, what a relief! Consider the road to publication a marathon, not a sprint. Figure out where you are as a writer. Are you an expert or a novice? Prepare yourself accordingly. This can’t happen in a vacuum. You need feedback from professors or other writers who are a bit further along on the journey. Surround yourself with people who will give you honest feedback about your writing and believe them. When you’ve written something marvelous, take it to a writers conference for professional critiquing and to strengthen your calling. 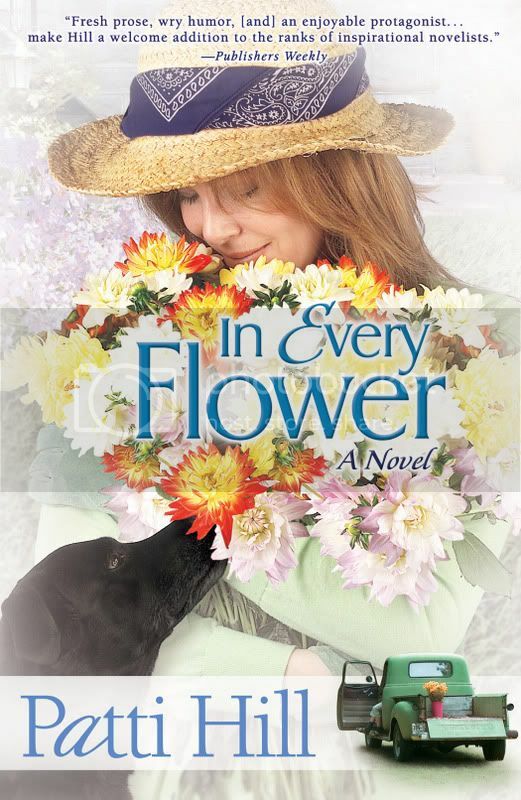 In Every Flower explores the not-so-rosy road of remarriage and the courage and commitment it takes to overcome the pitfalls, all while your sixteen-year-old son is trying his best to undo your world. Sounds depressing, but it’s not. Mibby has a quirky, straightforward approach to life. She leans heavily on Christ and the friends around her. You won’t find any villains in my books, only people with conflicting needs—just like life. Come see me and hear me at www.pattihillauthor.com. I’m running a comfort food recipe contest right now. Please fill my mailbox with your recipes, even if they include Spam. Get ready for an onslaught, Patti. Thank you for spending this time with us. Readers, you know the drill. Leave a comment for a chance to win a copy of In Every Flower. Don't you just love the cover? Also check out the other interveiws where the books haven't been given away. You can leave a comment for a chance to win a copy. And if you might forget to check back to see if you've won (we occasionally have to choose a different winner if I don't hear from the first one in a couple of weeks), sign up for FeedBlitz. The link is under my picture. You'll be notified about each post. I've known DiAnn a lot of years. She's one of my favorite writer friends and a favorite authors. When her book When the Lion Roars came out, I stated both on this blog and on my web site that every Christian in America should read that book. Her newest release is When the Nile Runs Red. Although I haven't received my copy yet, I'm sure the same holds true to this book. As soon as it gets here, it will go to the top of my to-be-read pile. DiAnn, your stories set in the Sudan are powerful. What first got you interested in this African country? In 2002 I was approached by volunteers of the Aid Sudan Foundation here in Houston. They were looking for a Christian writer to write a nonfiction book about the Lost Boys of Sudan. I refused politely, but God had other ideas. Since that time, I’ve made friends all over the world: those who work with the Sudanese and many Sudanese who are willing to tell their stories so the world will be aware of their plight. I know that you went to the Sudan last year. Tell us a little about your trip. My trip to Juba, Sudan, the southern capital was a fact-finding trip for When the Nile Runs Red. I saw a people who had been persecuted and family members killed struggling to survive two decades of civil war. There was no electricity, running water, or good sanitation. The people need quality education, medical attention, and help on a grass-roots level. AIDS is on the rise. Women draw their water from the Nile with no thought of boiling it before use. The government leaders are hopeful and hard-working. Two of these men introduced themselves to me as “committed Christians.” I saw pain in the people’s eyes and hope in Jesus. What amazed me the most was that so many of the Sudanese who had been refugees all over the world have fought to obtain college, graduate, and doctorate degrees. They have taken nothing and made something of themselves while too many westerners have everything and do nothing. Once you visit Sudan, the country and its people become a part of you. You are often a speaker at conferences. Tell us where you’ve been this year? 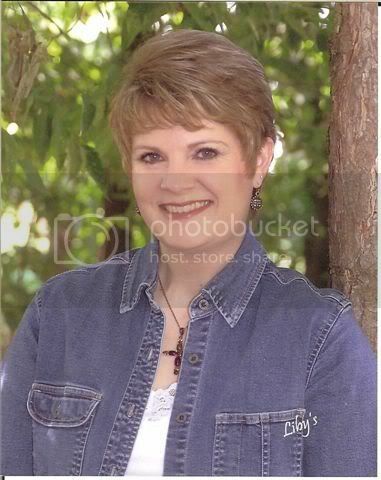 In 2007, I’ve spoken/taught at Taylor University in Ft. Wayne; IN; RWA Houston; Mount Hermon, CA; Baptist General Library Convention in Dallas; ACFW Southwest; Blue Ridge Conference; Abilene, TX; Inspirational Writer’s Alive, Houston; North Texas Christian Writer’s Conference; (9-2007), ACFW (9-2007). On August 16-18, conducted a fiction mentoring clinic in my home. I've been dreaming for years of helping fiction writers in this type of environment. I was with you at Inspirational Writers Alive. Share your upcoming speaking calendar with us. Sept 8 Book signing at the Champions location of Barnes and Noble Book - Houston, Texas 2:00 - 4:00 p.m. If you are in the area, I'd love to see you. Sept. 29 Book Signing at the Willowbrook location of Lifeway - Houston, Texas 2:00 - 4:00 p.m. Stop on by! Oct. 13 Book Signing at the 1960 FM W location of Mardel's - Houston, Texas 2:00 - 4:00 p.m. This event is their biggest store wide sale. And there will be a public book signing at the ACFW Conference in Dallas, Saturday, September 22 from 1:30-2:30. That will be a great opportunity to meet lots of Christian authors. What are some of the spiritual themes you like to write about, DiAnn? Always forgiveness. This is what sets Christians apart from the rest of the world. Finding God’s purpose is another. What other books of yours are coming out soon? I'm looking forward to the last book in the Texas Legacy series. I didn't know you had sold to Avon Inspire. We'll have to do another interview when it comes out. If you could spend an evening with one contemporary person, who would it be and why? Billy Graham. It was during one of his TV Evangelism crusades that I accepted Christ when I was 19 years old. What a role model. I agree. How long have you known that you wanted to be novelist? I can’t remember when I didn’t know it! Probably age eight. I wish I had known earlier in my life. What can you tell authors who have been receiving only rejections from publishers? 2. Have published writers and reader give you valuable feedback – not family members. 3. Become involved in a quality writer’s group and attend conferences. 4. Read books about the craft and reread those same books. 6. Read books in the genre you want to write. Paul Farid was once a member of the royal family who openly persecuted any Sudanese who failed to practice Islam. Now he’s a Christian who puts his life on the line to aid the persecuted Sudanese people. His wife, Larson, is a doctor committed to giving her life for peace. Colonel Ben Alier has fought for twenty-one years against the government’s mandates to control the oil, religion, slavery, and politics of Sudan. He neither trusts nor rests any hope in the newly formed government. Ben’s health deteriorates while Larson finds out she is going to have a baby. Their worlds collide, and as the relational tensions escalate so does the physical danger. The proceeds from When the Nile Runs Red goes back to aid the Sudanese. I can see how much of your heart you've given to the Sudanese. How can readers find you on the Internet? 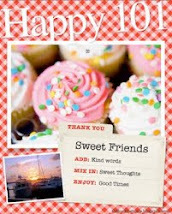 www.diannmills.com I invite you to sign up for my monthly newsletter! Readers, I receive this newsletter. You'll enjoy it. 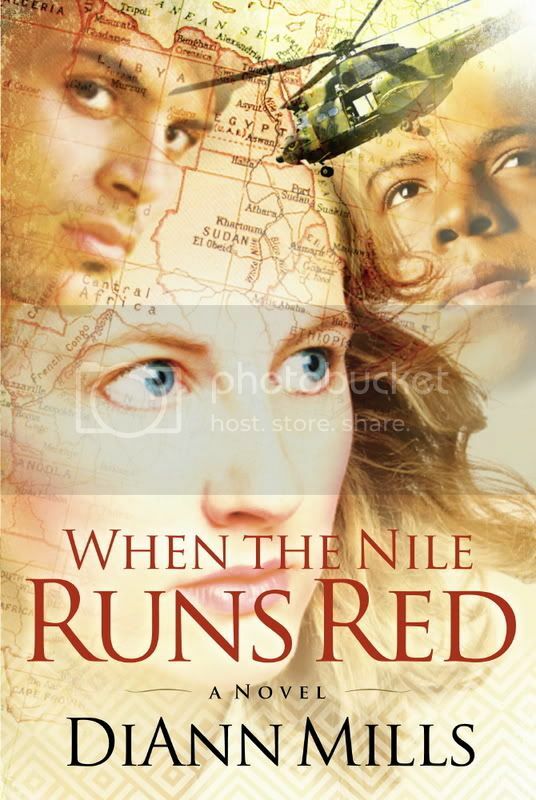 Don't forget to leave a comment for a chance to win a copy of When the Nile Runs Red. If you haven't read When the Lion Roars, you'll want to get a copy of it, too. 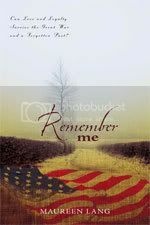 Melissa Meeks is the winner of Remember to Forget by Deborah Raney. Abi Buening wins Wedding Bell Blues by Linda Windsor. Both of the winners need to contact me with their mailing address. There's an email link below my picture. Also below my picture, you will find a place to sign up for FeedBlitz. You'll then receive notification of all posts to this blog. That way, you won't miss a single author interview, and if you win, you'll know right away. There's still time to leave a comment on the interview about Montana Mistletoe. There will be 4 winners of books next week, and you'll want to visit all the other stops on the blog tour. When you leave a comment on the last stop, you'll be eligible for one of the 4 free books and grand prize we'll choose from those who leave comments there. If you missed the tour schedule, it's at the bottom of the interview.